Help Seniors is a Christian-based, Non-Profit Organization which enables older persons to live independent, productive and dignified lives in their communities for as long as possible. It originated because there are thousands of Older Persons in South Africa who do not enjoy Successful Ageing and have mostly to fend for themselves. Many lead a precarious, poverty-stricken existence because their resources have been prematurely depleted. For most, recourse to children is not an option. There is little help from the Government, while welfare organizations struggle financially and are unable to help everyone. Tumelong is the official outreach project for the Anglican Diocese of Pretoria. St Martin’s supports the project by supplying bags to each the families living in Phomelong, an informal settlement forming part of Klipgat. 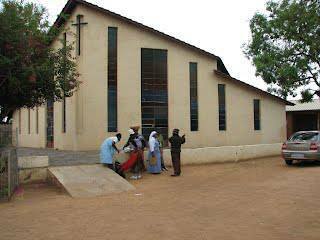 Klipgat is a village approximately 60 kilometres North-West of Pretoria. 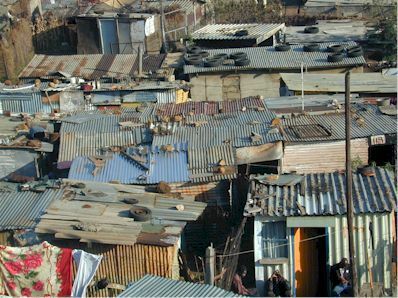 The Klipgat community includes a large group of poverty-stricken shack dwellers. There is also a Mission of Mother Teresa’s Missionaries of Charity serving the community. This Mission plays a vital role in ensuring that the FABFAF bags reach the most needy and deserving families and the distribution of bags on a monthly basis has been loyally undertaken. The Municipal Clinics are in Olievenhoutbosch, Lyttelton and Rooihuiskraal. Tuberculosis and poverty are closely linked. As such, many of the patients with TB are under-nourished and there are always patients who desperately need a nutritional boost from a FABFAF grocery-filled bag.